The Fair Isaac Corporation (FICO) is changing their scoring model. After talks with the Consumer Financial Protection Bureau (CFPB) and lenders, FICO developed the Score 9 model, an initiative aimed at providing consumers with easier access to credit. Review the following questions and answers to learn more about how the change affects you. What has changed with the FICO Score 9 model? Recognize collection accounts if the issue has been resolved/settled. Ascribe the same level of risk to paid and unpaid collections. Score medical debts with the same level of severity. FICO 9 is scheduled to take effect in the fall. In the meantime, check your credit reports and highlight any false or questionable information. Use your Case Valet to alert our legal team and we’ll take care of the rest. Change is coming; why not begin with clean credit reports? Payment history. Payment history accounts for 35 percent of your credit score pie. Thanks to the new model, you’ll enjoy more of this slice if unpaid debts have been settled, allowing you access to better interest rates and long-term savings. Maria has $20,000 in available credit and $9,000 in debt–$4,000 of which is a medical bill that was placed into collections. Maria has been working hard to pay her bills and has since settled the medical account. In the past, a collection account would have remained on Maria’s credit reports for up to seven years. Under FICO 9’s new model, the account is removed and Maria’s utilization ratio is restored to 20 percent. Debt utilization. Wait, I thought debt utilization was affected! It’s true, FICO 9 will change the rules of utilization surrounding medical debt, but that doesn’t mean other forms of credit are included in the deal. Be vigilant when it comes to consumer credit and debt utilization. The result will help you maintain a positive score. Account diversity. FICO 9’s primary initiative is to assess risk by redefining the parameters of a few account types. That said, diversity is still important. Maintain a healthy mix of revolving and installment debt to illustrate your understanding of both. Inquiries. An inquiry is an inquiry, plain and simple. Allowing others to access your credit report will place a notation in your file, an action that can hurt your score if performed too often. Allow access sparingly. Don’t apply for too much too often. 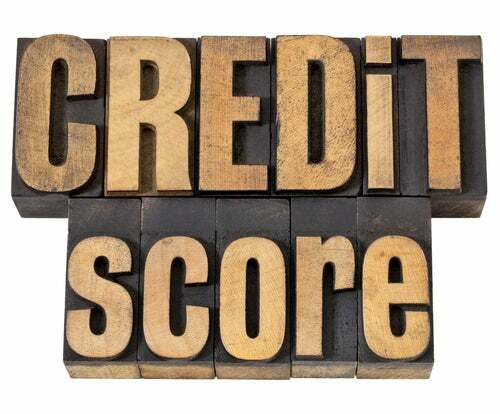 Will the new scoring model improve my credit? Caroline’s credit score is 789. Despite her history of excellence, her credit report does have a single dark spot: a collection account for a medical co-pay. The balance? A measly $25. The citation has remained on her report for three years despite many efforts to repair and erase it. Thanks to FICO’s new model, the collection account is removed from her credit reports. For the first time, Caroline belongs to the 800 Club. FICO estimates a 25 point boost for many consumers who have settled medical debts. Keep a watchful eye on yours. Should I change my habits? Where do I rank on the Five Factors scale? Am I following the rules? What is my current credit score? What 800 Club habits should I adopt? Do I understand how emergency and retirement savings can impact credit health? Am I using my money wisely? What are my credit vices? The bottom line: Credit is dynamic and there’s always room for improvement. Look for changes as FICO Score 9 takes effect and employ diligence in your day-to-day activities. The combination is sure to yield positive results. This entry was posted in Credit 101 and tagged Credit Score, FICO. Bookmark the permalink.